Gang warfare in the hive city Necromunda is quick and brutal. House Delaque is known for it's spy network and incredible sneakiness. 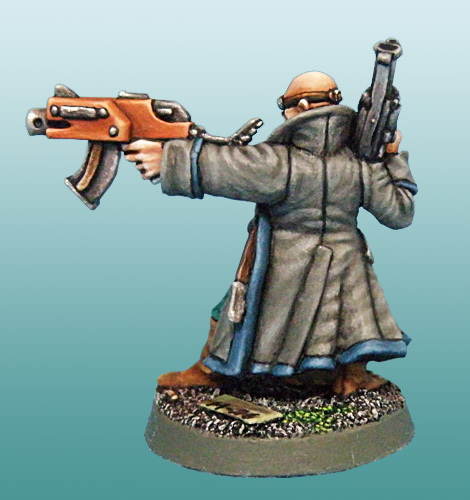 This gallery displays some of the gang members from House Delaque. 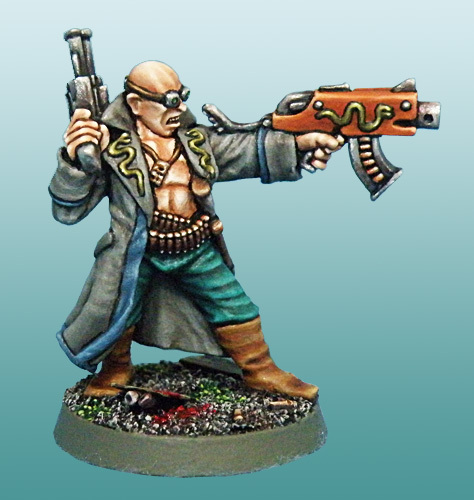 The leader of a House Delaque gang is the most feared member, due to his fighting skills and his ability for strategic planning.